The cornea is the transparent, front part of the eye that covers the iris, pupil and anterior chamber, providing most of an eye’s optical power. Together with the lens, the cornea refracts light, and as a result, helps the eye to focus. In a healthy eye, the cornea bends or refracts light rays so they focus precisely on the retina in the back of the eye. Treatment for corneal disease depends upon the underlying cause, as well as the patient. Some diseases go away on their own, while others require medication or surgery. 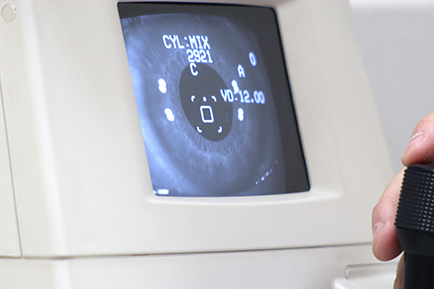 Frequent eye exams ensure that corneal disease is detected and treated before significant damage occurs. Eye Consultants of Syracuse provides trained physicians who specialize in cornea disease and surgery to treat conditions and diseases. These surgeons have years of experience and have developed innovative techniques and instrumentation, such as refractive surgery, corneal transplants and penetrating keratoplasty, Boston Keratoprosthesis and surgical treatment of keratoconus. If you or a family member has a disease of the cornea, the experts at Eye Consultants of Syracuse can help. Search this site for more information on the cornea.